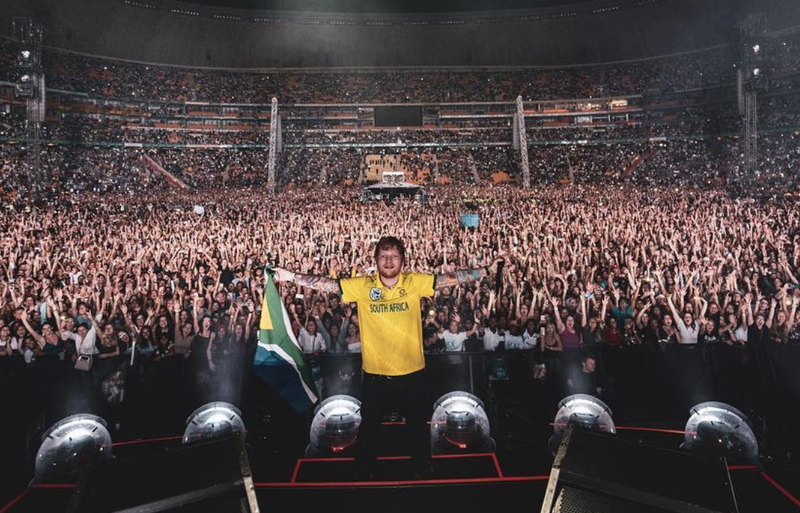 South Africa is buzzing with ‘Ed fever’ and for good reason. 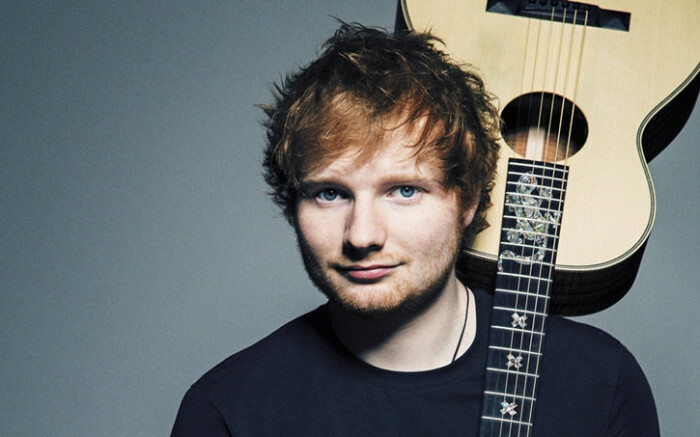 His four sell out dates have gone just swimmingly: from impeccable security and organisation through to killer support acts, we at Elegant Entertainment are highly impressed by old Ed! For anyone who didn’t caught his one man show, this chap is the real deal. Still in his 20s he already has an MBE from the Queen for his contribution to music and charity, his divide tour has grossed over 573 US dollars and he is married to his high school sweetheart. All pretty decent achievements before the age of 30 in anyone’s book! Ed leads his gig as a one man edstravaganza right from the get go hitting hard with ‘Castle on the Hill’ showcasing some pretty innovative AV and a sound that filled (I saw his first JHB show) the FNB Stadium with ease. His looping had him bouncing around the stage physically creating sound over sound and cueing backing vocals layering what eventually would lead to a climax of a spine tingling experience. Live music is just the best! Experiencing bands and solo musicians can transport us to alternate dimensions, heal old wounds or simply alleviate daily stress. Ed Sheeran did just that for many, in a time of little light (literally) in SA he hit the audience with a wall of visual, acoustic and vocal indulgence that would awaken even the most reluctant audience member (he even thanked the superdads and boyfriends who had attended under duress in a charmingly British fashion). I hope you managed to catch this awesome musician who brings folk music to the masses. I think it’ll be super interesting to see how his career grows over the years.